Not only the width but also the available colors, we provide a great selection for your Velcro® safety breakaway wrist bands. The velcro tapes are sewn on the wrist band straps to provide a great fastening for female and male part of Velcro® tape. The high quality and heavy duty straps are great for wrist wear and a variety of application. The comfort to wear heavy duty flat polyester fabric strap or band come with 14 colors in stock. They can be made to any length of wristband to fit your specific application. The Velcro® tape can be opened and closed easily with the function of safety breakaway at risk. Either the non custom imprinted or custom imprinted models are available. Any custom size, length, material, hardware attachment, custom logo and custom imprinted wristbands are welcome! 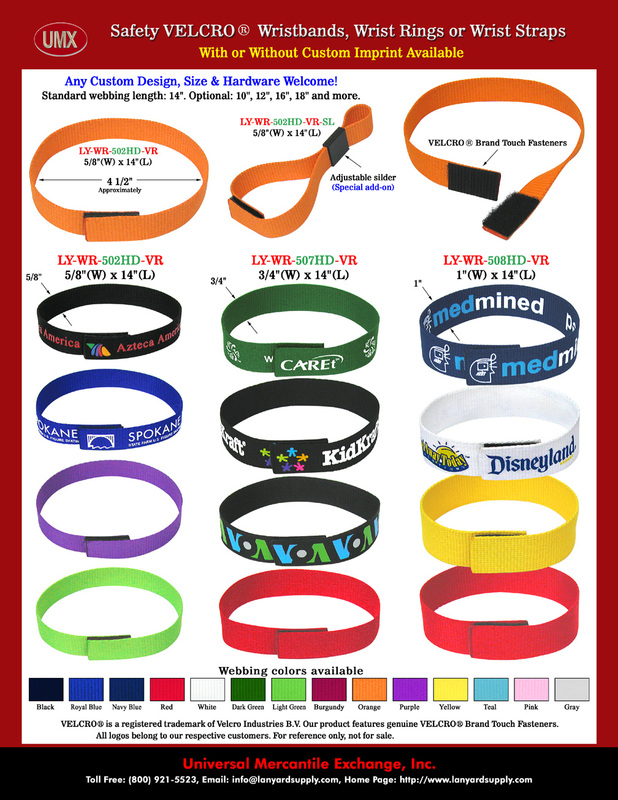 You are viewing Lanyards > Leash > Wristbands or Wrist Straps > 5/8",3/4" and 1" Plain Color Velcro® Safety Breakaway Web Wristbands, Bracelets, Wrist Band Straps or Wrist Ring Lanyards Without Metal Parts.